Fleeing the inaction of his people from a secret order grown listless and apathetic, Hestea flies into the face of an age-old enemy. Under a foreign general in a fractured land he finds his place as the remaining armies of Molroun make a last stand. Hestea finds love, seeks out a murderer in his own camp and must question the strange power that he had always thought was a blessing. Why does gritty fantasy sell? Visceral, terrible, gut wrenching, laden with death and loss. Why does it sell? And why in the genre of luminescent fairy wings, immortal wizards, and chivalrous knights that can not die— Why do we want to bring in the grime, the stink of malice and the cut of despair? In an industry dominated by the One Ring and a boy wizard, where there was death and violence, but only to an extent, it seemed that Fantasy was a soft genre. There was the thrill of discovery, strange wondrous new lands and…magic! So what made The Game of Thrones rise so high? Perhaps, because, it was more real. The setting is not one of wonder, it is one terrible and dirty, where people die. A world where a single man rules with the authority to kill on a word, where political factions scheme for power, for survival: the landscape of influence can change in a heartbeat. Game of Thrones shocks and pulls you in when Eddard Stark, the moral center of the book is beheaded before the people of King’s Landing and before his own daughter. For some it was too much, for others it had us shaking our heads wanting to not believe. But whichever camp you were in, in a world of political intrigue where only the strong survive—those that will do ANYTHING—it shows the brutal reality. I hated it, but it pulled me in. I wanted Ned to live, I wanted it to be a giant farce. But people are cruel, people are terrible, and some people will do anything to keep the power they clutch with greedy or trembling hands. This is the core of his book, and it is something he has never forgotten. You might argue the series is also about the redeeming qualities of the human soul. That even the worst of us have a kernel of good and even the worst can change. But this wouldn’t be relevant if his world was painted in pink and pastel. The contrast makes it stronger. The grit and gore stands out in Martin’s work, but it is not by itself what differentiates. Unrelenting consequence shows he is not afraid to take the story where it must go. And as an author I know the fear of killing a character that drives your story, but sometimes it must be done. In The Lord of the Rings, Boromir is obsessed with the One Ring and his need to use it for his own purposes. He scared off Frodo, the Fellowship scattered and when the Uruk-Hai came, they were unprepared and Boromir died. It is a real moment. Where our own fear and mislaid confidence is reflected in Boromir. He died for his mistakes, the Fellowship is split and the entire journey seems in peril. Instead of being pushed away the reader is pulled in. Things become more believable when you see true consequences of character actions. Anyone find it uncompelling when the hero of the story walks away unscathed? We’ve all enjoyed the Summer Blockbuster with the hero dodging a thousand bullets, but how engaged are we? Maybe the first time we enjoy it, perhaps the tenth? (Ok, let’s be real, we’ve all enjoyed a few dozen, but we want something different now. Something more.) Our belief and engagement with the show is threatened. We start remembering this is just a bunch of actors and actresses running around on a sound stage. There is no peril, there is no risk. So, why do we care? -Edward in Twilight has a massive battle with the redheaded vamp that wants nothing more than to kill him for killing her lover. Meyer sets up the scene with foreshadowing about this being a moment of impending doom. We come to think that something tragic could happen. But no. No big deal. Edward kills her and barely musses a hair. Gritty fantasy sells because the genre has matured and with it readers have found that they want something more. It doesn’t have to be blood or death, but it does have to be a true consequence. One that leaves more than just a scratch. The Song of Ice and Fire became a phenomenon because it was well written, had true consequence and because Martin painted a gritty picture to fit. We became lost and immersed in the work. And it became real because we never stopped believing. What are *yours*? Sell me on reading it now now now. Why didn’t I review your book? This blog post arose out of my thoughts in response to Bryan’s question. The tl;dr answer is: “It’s complicated.” but for those willing to read on, please do so. On a recent SF Signal podcast, I talked with Patrick Hester, Sarah Chorn, Fred Kiesche and Rachel Cordasco about audiobooks. In the course of that conversation, we got to comparing books read total for the year to date, physical and otherwise. Sarah, of course, being a demigoddess of reading, has read the most, somewhere in the 160’s. Fred is similarly high, thanks to listening to a lot of audio fiction. Rachel is looking to read 80 books this year or so. Me, I’m around a hundred at present. I figure to hit ~110 by the end of the year. That’s a lot compared to the average reader, but its really a drop in the bucket compared to the books that come out in a given year. Even with 110 books in a year, I can’t read everything, and I can’t even read everything I *want* to read when I read it. When a dozen books of interest come out in a month, I’m already behind the eight ball, and falling further behind all the time. I value long driving trips (as I mentioned on the aforementioned podcast) because it lets me eat up audiobooks in a way my day to day situation (short commute, work that doesn’t encourage deep listening) does not. Plus, in addition to reviewing and reading in my free time, I have other interests–photography, roleplaying games, computer games, adventures of all sorts. I can’t buy every book I want to own. Its economically impossible in my situation to do so, and I have other interests to pay for, as well as the basics of life. I buy a fair amount of books, but I cannot buy everything I want. Yes and no. I receive a modest number of review copies. I know reviewers who get 5-10 books in a typical week. Me, I don’t receive a review copy of something every week. A pretty scintillating week can have me receive 3. Some publishers are much tighter with me than others. SF Signal (hello John. Have a bagel!) is very good to me. John is not independently wealthy, though, so going begging for review copies he has to spend time and money sending to me is somnething I’ve become increasingly loath to do. I have plenty of books to read and it feels like special pleading to ask John for a copy of something unless I really, really, gotta have it. There are some authors I do that for because I will read anything they write. (Hello Kate Elliott! Hi there, Martha Wells! My good friend, (Elizabeth) Bear, you know you’re on *this* list too). But I don’t generally ask John for packages of books much anymore. So it is entirely possible that I don’t even have a copy of your book, or won’t for quite some time. I am not going to Klausner you and review a book I haven’t read. While wide, I have a defined interest in my reading in genre fiction and every other subgenre of fiction and nonfiction for that matter. I’m willing to try new things, but there are things in genre that frankly don’t interest me. Ghosts, for example, are something I have near to zero interest in. I didn’t and don’t even use them much in Dungeons and Dragons games. There are a number of fine writers who I am sympatico with who have written novels with ghosts in them (hi Jaime Lee Moyer!) Sorry, its not to my taste, and I have no interest in reading said books. There are historical eras that really don’t grab my interest, either, if you’re talking history or historical fantasy. Its entirely possible your book falls into the areas of genre fiction I really don’t have much interest in reading. In writing reviews, I am engaging in writing. It might not be the kind of writing that earns me a Hugo Award nomination (although I am certainly eligible). Its not the kind of writing that pays a single one of my bills, not even for the mocha frappucino at Starbucks yesterday. I do this for the love of doing it, because I like and love doing it. I don’t review everything I read–because I don’t like everything I read. I have a pretty high hit rate, but I’ve had stretches of books that just did not work for me. You rarely see reviews of these books from me. Reading and reviewing a book I don’t want to read, or reviewing a book I had a tepid or negative reaction can have mixed results at best. The Willful Child, by Steven Erikson, is a book that I was eager to read, since I love his epic fantasy. My experience,however, was epically negative. It wasn’t just a meh response, it was a near-throw-against-the-wall book. I managed a review of it by treating it humorously (sort of in the vein of Justin Landon, who has (used to) review books negatively with giant dollops of humor. Less successful is the case of Patricia Burroughs’ This Crumbling Pageant. My reading and review of TCP is a case of what happens when I read a book on request, don’t care for it tremendously, and write a review against my better judgement. In normal circumstances, I would have not reviewed it at all. Pooks begged me to, and I struggled to write a review of a book that fell on the lower end of the “meh” scale for me. It was no fun, I derived no pleasure from it, and I still feel bad about the entire affair. Pooks’ book is not the only one where I’ve felt bad about not liking the book of someone I feel I get along with, either. It’s the mushy middle, though, that really is the mud of the Agincourt field that traps me, however. Its easy to write a review of something I love. I can manage to do a review of a really negative reading experience if I look at it the right way. But a meh book? Reviewing those are really hard. I have no enthusiasm to just grind out words and not a tremendous incentive to do so. I do want to support authors like Deliah S Dawson, who ask for reviews of everything they write, but if a book doesn’t resonate with me, its a slog and a word mine to come up with an acceptable review. And that’s why I didn’t review your book. The titular characters in Dumas’ Three Musketeers (and its various sequels and add-ons) were not made up out of whole cloth by the master of swashbuckling adventure, but rather based on real 17th century personages that inhabited the tumultuous word of a France struggling through wars political and religious, dynastic maneuverings, changes in government and outright rebellions and insurrections. So who were they based on? And who was Dumas anyway? The Four Musketeers: The True Story of D’Artagnan, Porthos, Aramis & Athos seeks to answer all of these questions and more. 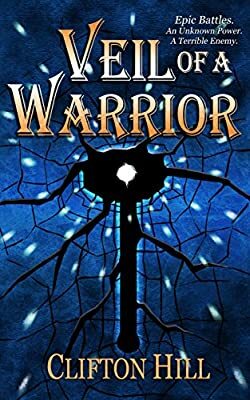 Written by Phil Nanson and Kari Maund, the latter under the psuedonym Kari Sperring has written fantasy fiction that has more than a touch of Dumas’ spirit (Living with Ghosts and The Grass King’s Concubine). Maund, as well as Nanson are also professional historians, with a solid background in medieval and renaissance history. The book looks first at the historical D’Artangan, giving him a whole chapter for the authors to flesh out the real person, and what elements Dumas borrowed to make his fictional creation. The book follows with a chapter looking at the titular three Musketeers (surprisingly, one of them has an extremely thin biography, the invented Dumas character very much invented), a look at the role of Musketeers in 17th century France and a look at the 17th century quasi biography Memoirs de M’ d’Artagnan, the major source of Dumas information and inspiration on Charles d’Artagnan, the basis for Dumas’ hero. Finally, the book looks at Alexandre Dumas as a writer himself. Did you know, for instance, that a fair portion of his work was written with uncredited collaborators? The book ends with (a slight out of date) look at the afterlife of TheThree Musketeers in various forms of media. The fact that although the book was written in 2005 and already is out of date is a testament to the abiding power of Dumas’ characters and stories. The major detraction from the book might be a matter of expectations for casual readers. As the authors ARE professional historians with a style and format to match. Readers expecting something like Mark Kurlansky’s popular and populist histories are going to be put off by the painstaking, footnote infused style of the authors. As a protip, those footnotes in The Four Musketeers come fast and furious, and this is a book where the footnotes are as important as the main text in gaining understanding. The other detraction from the book isn’t a problem within the book itself, but again a reader issue. The book presumes a fair bit of knowledge about 17th century Europe and what was going on in France and its environs (especially the Thirty Years War, and there is an excellent book recommended in the footnotes on the subject). The relative shortness of the book and its laser like focus mean that the authors cannot digress heavily to explain the socio-political situation surrounding the lives of the men who inspired Dumas’ characters. Even with these caveats, The Four Musketeers shows solid scholarship, research and depth of knowledge of the subject. Anyone at all who wants to know more about the real people who inspired the immortal characters of Dumas would be well served by picking up this book.